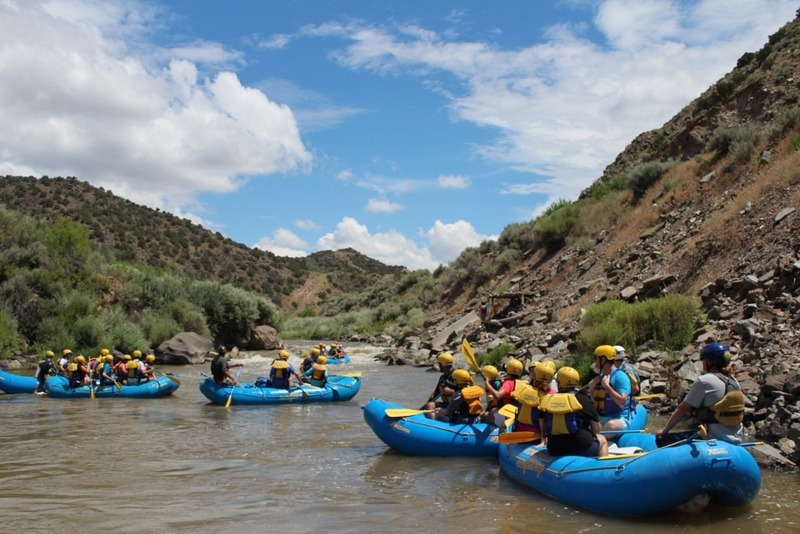 1/2 Day Whitewater Rafting Racecourse on the Rio Grande! 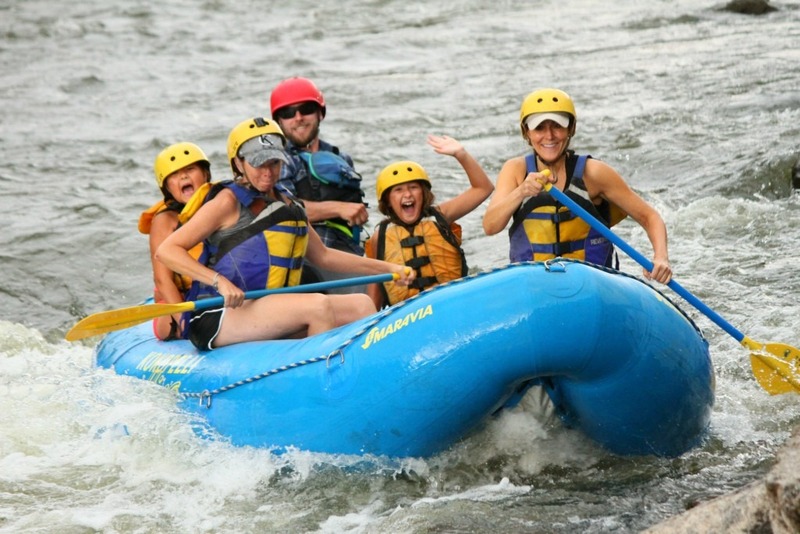 Best staff and Best rafting experience! 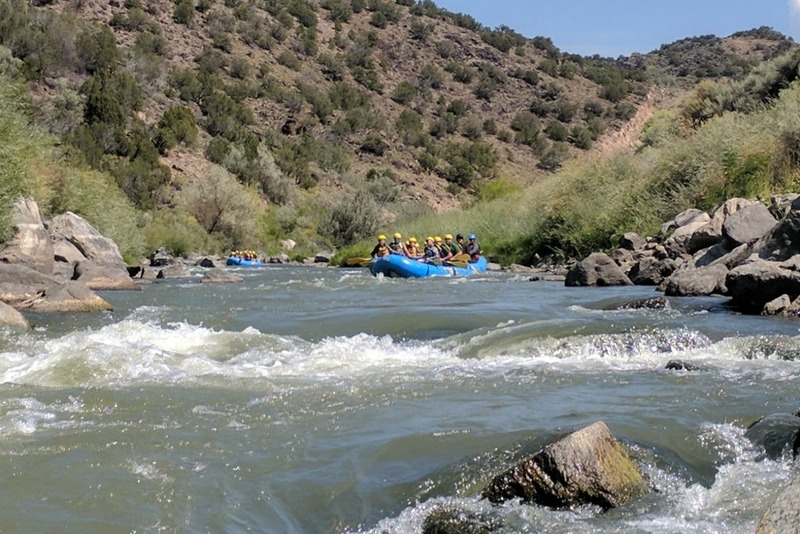 The five-mile Racecourse rafting trip is our most popular half-day trip on the Rio Grande, ranging from a wild class III+ ride during the spring high-water to a more technically-demanding run as the water goes down and the rocks come up in July and August. In spring and early summer, be prepared for cold water, big waves, and plenty of excitement. 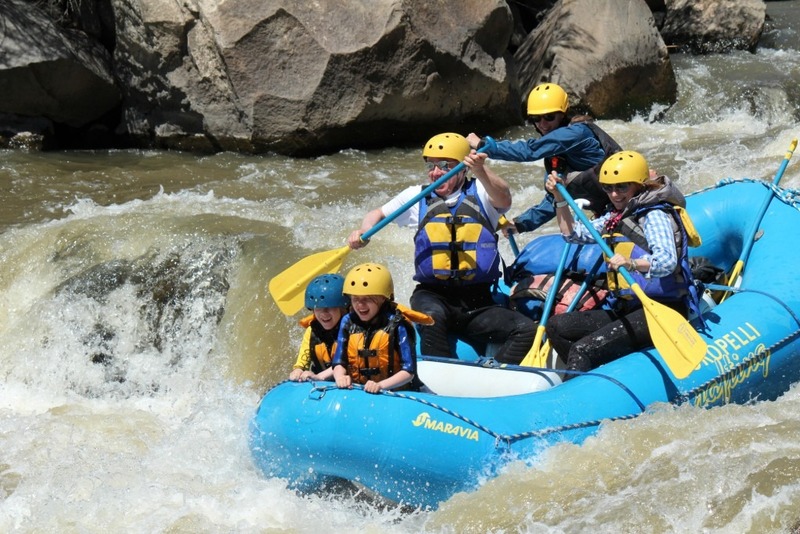 As summer continues, your guide will be depending on you to help maneuver the raft through many tight slots. In addition, the water warms up and there is more opportunity for warm-water fun, such as swimming and boat surfing. 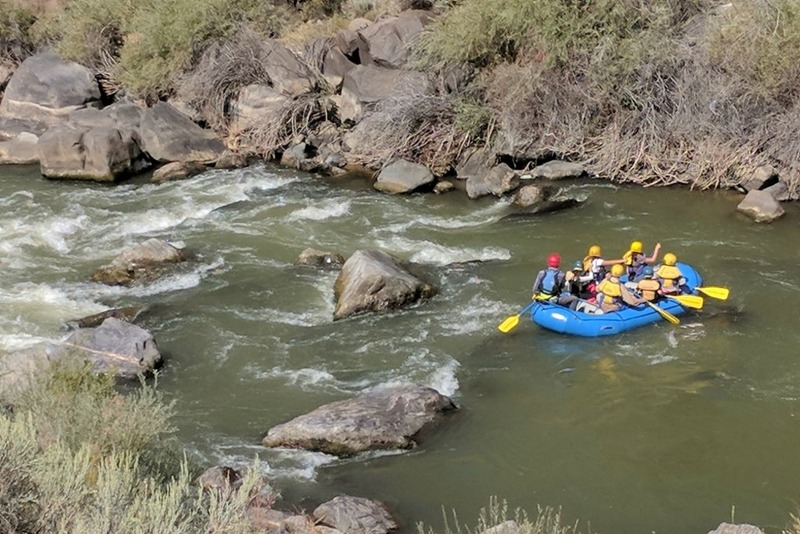 The moderate Rapids of the Racecourse rafting trip is a great trip for beginning whitewater enthusiasts, as well as experienced rafters looking for a quick adrenaline fix. 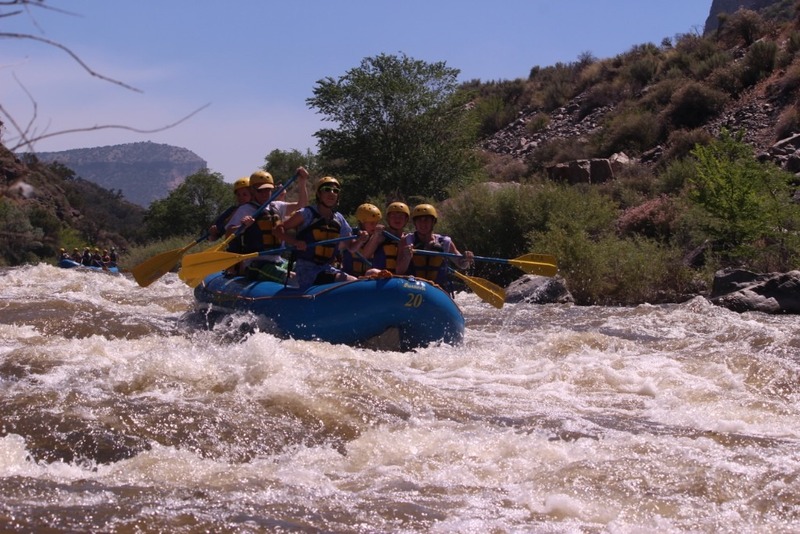 Minimum age is seven, although Kokopelli Rafting Adventures reserves the right to raise the age limit during extremely high water. 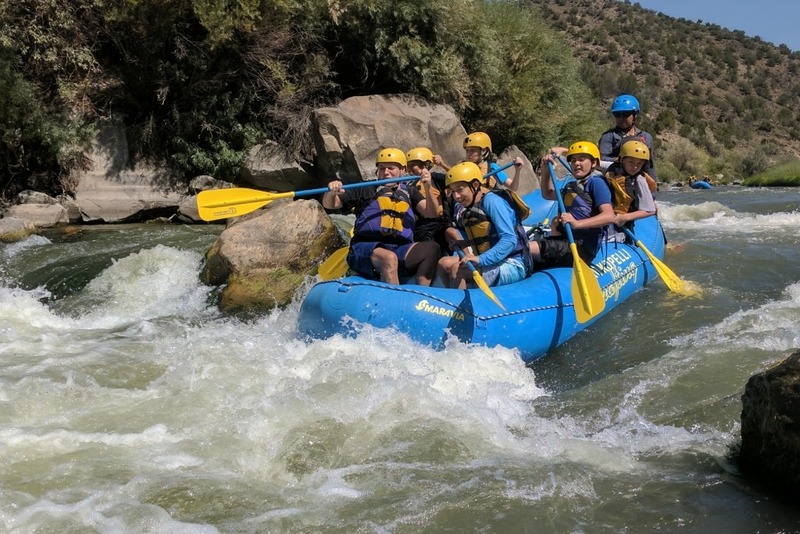 The Racecourse rafting trip is our most popular option for families and large groups with varied group experience levels. 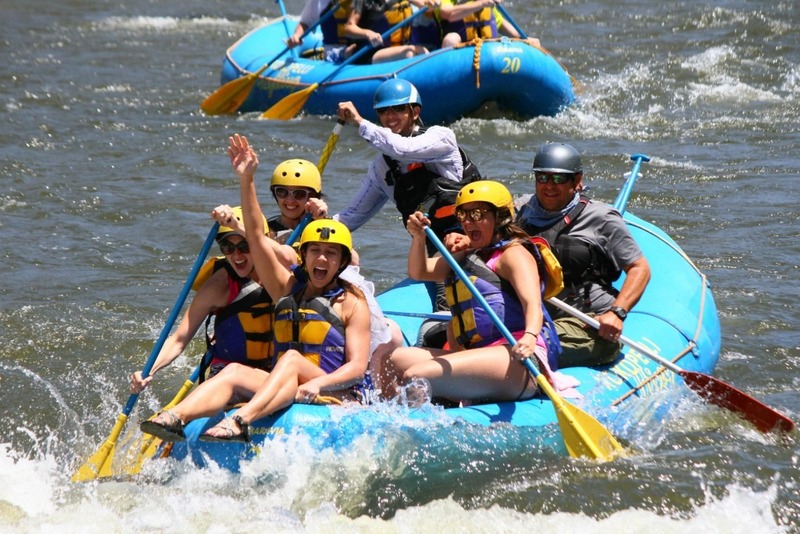 Everyone seems to have a great time on the river trip, and its not too intimidating for first timers at most flows. The Racecourse is runnable all season long. The highest water is in late May or early June. 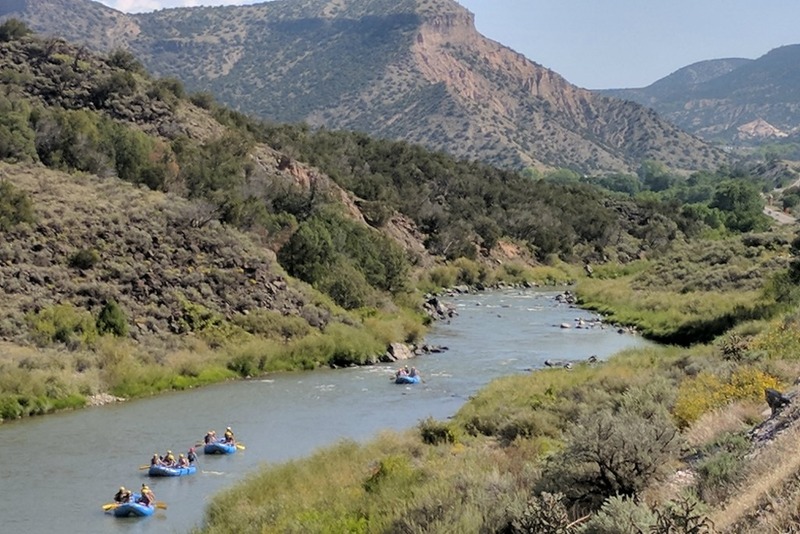 Inflatable kayaks are available at lower water levels.